Providing rapid and sensitive sample cleanup, sol-gel capillary microextraction (CME) is a form of solid phase microextraction (SPME). The capillary format of CME couples easily with mass spectrometry (MS) by employing sol-gel sorbent coatings in inexpensive fused silica capillaries. By leveraging the syringe pump and six-port valve readily available on the commercial MS, we can obviate the need for chromatography for samples as complex as urine in quantitative assays. Two different sol-gel materials were studied as microextraction sorbents: one with a single ligand of octadecyl (C18) and the other with a dual-ligand combination of C18 and phenyl (Phe) groups. The CME-MS method was optimized for flow rate and solvent desorption and studied for overall microextraction performance between the two sorbents studied. We extract illicit drugs including cocaine, heroin, amphetamine, methamphetamine, 3,4-methylenedioxymethamphetamine, and oxycodone, proving good run-to-run reproducibility (RSD% < 10%) and low detection limits (< 10 ng mL−1). The dual-ligand sorbent demonstrated superior performance due to typical hydrophobic properties of C18 as well as potential π-π interactions of the Phe functionality and the aromatic moiety common to many drugs. 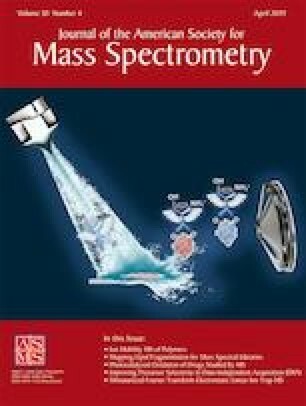 This study demonstrates the advantage of fine-tuning sol-gel sorbents for application-specific CME-MS. We apply our method to the analysis of various drugs in synthetic and human urine samples and show low carryover effect (~ 5%) and low matrix effect in the presence of the urine matrix. Thus, the sol-gel CME-MS technique described herein stands to be an attractive alternative to other SPME-MS techniques. The online version of this article ( https://doi.org/10.1007/s13361-018-02127-w) contains supplementary material, which is available to authorized users. We are grateful to Ms. Dina Swanson of the Hillsborough County Medical Examiner’s Office for provision of the case samples. Furthermore, E.S. thanks Timothy Vazquez, Nathan Grimes, Benjimen Batazhan, and Merve Kacar for valuable help in the preparation of the manuscript.